This volume is the general index to the eighteen published textual volumes in the Collected Works of C.G. Jung. The comprehensive indexing goes beyond the volume indexes, and includes sub-indexes to important general topics, such as Alchemical Collections, Codices and Manuscripts, Feud and Numbers, the sub-indexing for the Bible arranged by book, chapter and verse. 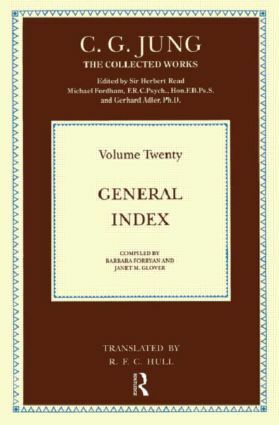 The General Index, with the General Bibliography of C.G. Jung's Writings (Volume 19 of the Collected Works), together complete the publication of the Collected Works of C.G. Jung in English.